The thrill is gone. B.B. 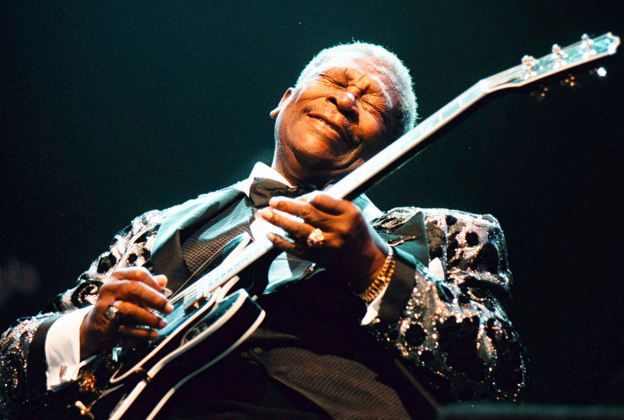 King, the most celebrated blues man of all time, passed away on May 14, 2015. He was 89 years old. He transcended the genre and for the better part of the last six decades served as a worldwide ambassador on behalf of the blues. B.B. King was an immense talent. He also had an intense drive and determination to match. He was gracious to a fault, a class act and was a man of great humility, dignity and grace. The story of the man born Riley B. King on September 16, 1925, on a cotton plantation near Itta Bena, Mississippi, has been told countless times. The well chronicled narrative, in which he rose to the top of his field at a young age and stayed there for the rest of his life, is one of the greatest success stories ever told. Blues, he was widely regarded as the most important figure in rhythm and blues music. His career took off and he never looked back. By the mid fifties he was performing well over 300 shows a year. He maintained that pace, barely slowing down, over the next 50 years. Even in his mid to late 80’s and in failing health, B.B. 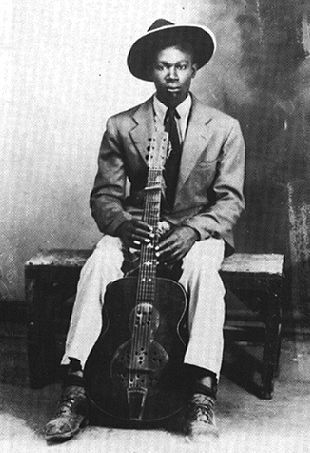 King, the last of the ‘Beale Street Blues Boys’ was still performing up to 100 nights a year. It is likely that he performed more often, in more places, in front of more people than any entertainer in history. When his performances were over, he was just getting started, or so it seemed. He would sign every autograph, hand out commemorative guitar picks, other little plastic mementos, take photos and talk with virtually every fan who wanted to meet the undisputed King of the Blues. Not only was he a popular figure, he was an important and influential one as well. It has been noted that virtually anybody who has picked up an electric guitar and played the blues since B.B. King, owes at least some of their sound to him. His astonishing string bending and stunning vibrato are as familiar to music fans as is the guitar in which those warm sounds emanated. His Gibson ES 335 was almost as well known as the man who played it. 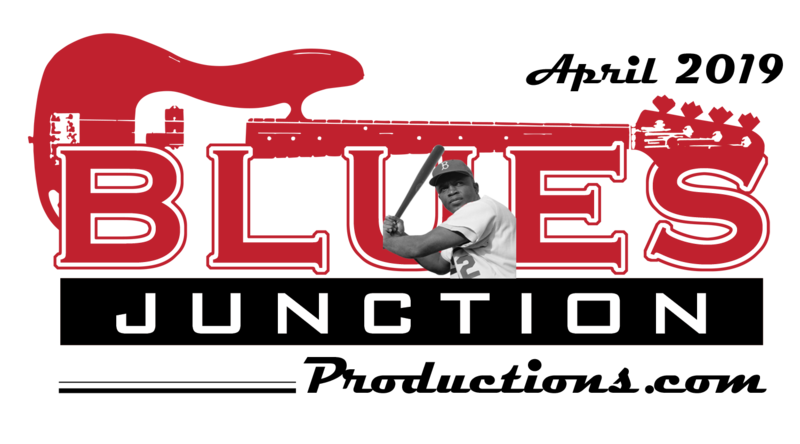 It could be said that the only name in the blues more famous than Lucille was B.B. King. over stayed his welcome on either of those potent instruments. It’s as if even he was aware of the power he wielded. It seemed that he could coax what felt like real emotion and depth out of songs he has sung literally thousands of times. He always seemed to have the ability to tap into some hidden reservoir and find a soulful place that he had yet to explore. Somehow the gifts he shared with us found a near universal appeal from the most devoted blues aficionados to the casual fan. Audience reactions to his music were virtually the same, whether it was at a posh super club in an upscale hotel or in a prison yard. He could bring down the house on the chitlin’ circuit just as easily he could at the Fillmore West in San Francisco playing in front of an integrated (mostly white) crowd. People loved B.B. King! He recorded for many labels throughout his career. Songs like How Blue Can You Get, Rock Me Baby, Every Day I have The Blues, You Upset Me Baby, Sneakin’ Around, My Baby’s Coming Home, Bad Luck Soul, Sweet Sixteen, Blues Boy’s Tune and Bad Case of Love and others were early recording highlights for King and hits on the r&b charts. They would remain staples of his concert repertoire for decades and become blue standards. However, his biggest chart success came via the West Coast blues man Roy Hawkins and his 1951 song, The Thrill is Gone. The song that appeared on King’s 17th studio album entitled, Completely Well in 1969 remained one of his signature tunes for the balance of his career. B.B. King made numerous live recordings. His 1965 Live at the Regal is considered an essential entry into any blues library and remains one of the most popular and influential blues albums of all time. 1967’s Blues is King and 1971’s Live in Japan are two of my favorite live recordings from his extensive canon of concert albums. His contributions to the language of the blues included taking the music and style of his biggest influence, T-Bone Walker, and putting his own instantly recognizable sound to that template. Like Walker, he more often than not put his songs in the context of larger bands which was contrary to the trend toward smaller combos in blues music. For many, hearing the B.B. King Orchestra may be the only time they heard a large blues band perform in public. That sound, complete with up to a five piece horn section, piano, organ, second guitar, bass and a drummer often with an additional percussionist was a throwback to another era. Yet they made music that sounded fresh and vital thanks in large part to the sheer effusiveness of the band’s leader. The music of B.B. King was timeless. However, time caught up with King and that is also part of his legacy. 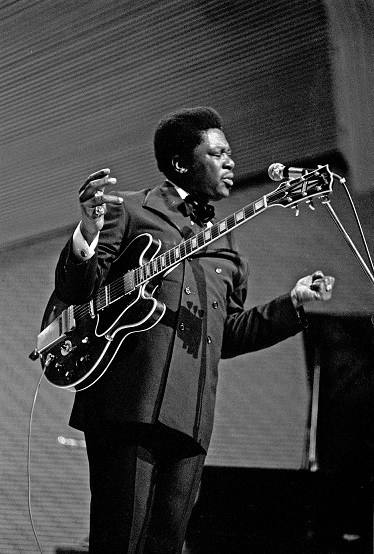 The most visible and public figure to ever play the blues aged right in front of his audiences. Having outlived his contemporaries, his concerts in recent years revealed an increasingly frail man. As his uncanny dexterity on Lucille and his powerful voice failed him with greater frequency, King would engage the audience with anecdotes and stories. He was still determined to connect with an audience in any way he could. Most of us have never had to live in a world that didn’t include B.B. King. Now the thrill is gone and it is gone away for good. We will try and let the good times roll, but it just won’t be the same.